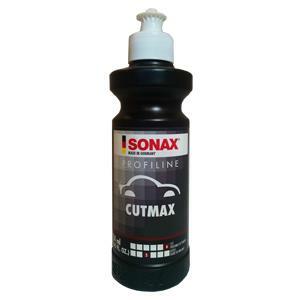 SONAX CutMax is designed to achieve the highest cutting and polishing results without severely damaging the clear coat. Sanded areas up to P1500 can quickly and safely be removed with excellent gloss effect. SONAX CutMax is water-based which offers a long working window and will not dry out like other compounds. It is also dust-free for easy clean up after use. Simply wipe off the polished area. Solvent-free & silicone-free makes it safe for use in body shops and collision centers.